" Hopefully this celebration will be a momentum for combining art and culture"
Jakarta Provincial Government is about to hold and enliven the Taman Ismail Marzuki (TIM)'s 50th anniversary. Verony Sembiring, Executing Unit Head of Jakarta TIM Art Center stated that the anniversary will present the theme 'Seni Bersama, Bersama Seni' (joint art, together with art). "This theme is chosen, as the city and TIM wants to create a fusion of cooperation in developing an artistic ecosystem and collaborating artist for a wider social ecosystem," she expressed, Monday (11/5). In the meantime, Christin Viesta, Governors Team for Accelerated Development (TGUPP) added that the city will present various art performances from theater artists, dance artists, etc. "The selection of themes and appearance of various art branches to unite various art ecosystems," she stated. It will be held on November 7-11, 2018 in TIM PKJ area, Cikini, Central Jakarta. It is divided into two sessions, namely pre-event falls on November 7-9 and main event on November 10-11. There will be some local musicians and artists, Maliq & D'Essentials, Kunto Aji, White Shoes & The Couples Company, Wayang Orang Bharata (human puppet), Ludruk Genaro Ngalam, Tabusai, Dance Theatre, wayang kulit performance from Ki Sigid Ariyanto, etc. 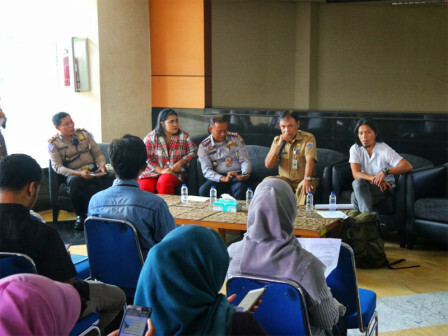 "Hopefully this celebration will be a momentum for combining art and culture that presents events such as wayang urban, mask dances, video mapping performances, dance performances, musical performances, wayang kulit shows, workshops, and cultural astronomy seminars," she stated.